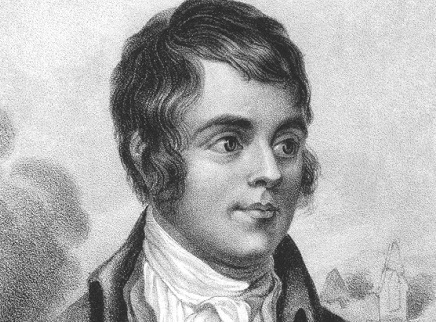 For those of you not taking part in ‘dry January’ (and lets face it, most Scots don’t) then raise a toast to Robbie Burns who is 260 years old today. In Scotland, his birthday is celebrated by feasting on haggis, neeps and tatties which is, of course, typically washed down with copious amounts of whisky. Whilst this is a suitably patriotic choice, it is not the most natural food pairing. Thanks to the ‘auld alliance,’ wine is a more than worthy substitute. As Robbie Burns says in his poem My Bonnie Mary, ‘Go, fetch to me a pint o’ wine…’! Although we don’t recommend drinking it by the pint, we would suggest choosing wines from the Languedoc and the Rhône. For the reds we would opt for Simon Coulshaw’s 2015 L’ÉTRANGER 100 Year Old Vine Domaine des Trinités or Anne Gros’s 2016 LA 50/50 Domaine Anne Gros et Jean-Paul Tollot. Both have lovely dark fruit and spice that goes tremendously well with haggis. For the whites, we would choose a voluptuous Viognier, either 2017 CONDRIEU Domaine Pierre Gaillard or something a little cheaper like the fantastic 2017 VIOGNIER Domaine les Yeuses. Both offer the weight and flavour to stand up to this robust Scottish cuisine. And, if it is truly Whisky you seek, then the smoky, peaty KILCHOMAN Machir Bay from Islay would be an excellent choice to ‘Toast the Lassies’.